Welcome to the new energy savings and solutions resource for Business Customers. It provides a quick look, along with an easy to use way to send one (or more) resource cards to anyone. Please note that the web pages for the programs and services still exist and that there are programs and services cards are constantly being updated and added. If you have questions or comments please let us know. Thanks and we hope you enjoy! Our Business Contact Center at 1-800-336-7343 is staffed with energy service specialists who know our business programs and services. You can reach us from 7 a.m. to 8 p.m., Monday through Friday, and 7 a.m. to 6 p.m., Saturday. Download our free app for your iPhone, iPad, iPod or Android at sdge.com/MobileApps. Features include My Account Mobile for viewing and paying your bill, energy charts showing your daily and weekly energy use at a glance, up-to-date outage information, and bill payment locations. You can also sign up for electric service outage notifications in My Account at sdge.com/MyAccount under the "Alerts and Subscription" tab. Visit sdge.com/OutageStatus to check the status of rotating outages called for by the state in case of regional power emergencies. Check out some of the latest energy and environmental technologies worth considering for your own facility or line of work. 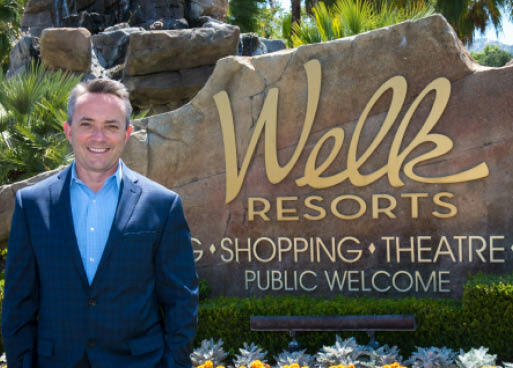 Tours* are available and include highlights such as the Smart Home, the lobby, solar technologies and the fast-charge system for electric vehicles. 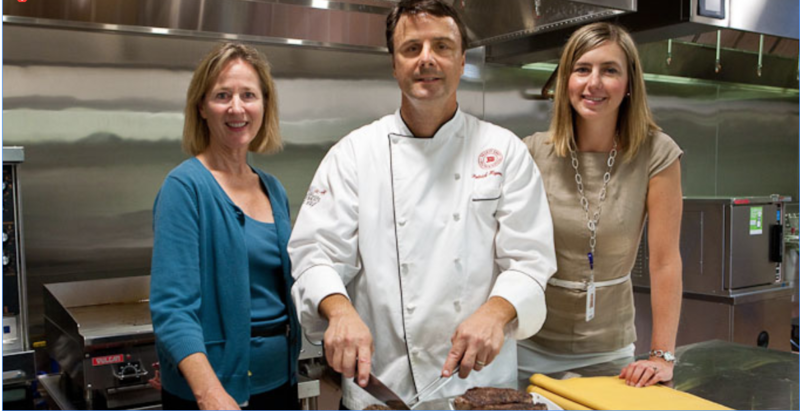 The Food Service Demonstration Kitchen features four cooking lines and about 50 pieces of commercial-grade, energy-efficient equipment for food-service professionals to test and compare. Borrow tools or books and DVDs for energy-efficiency projects from the Resource and Tool Lending Library. 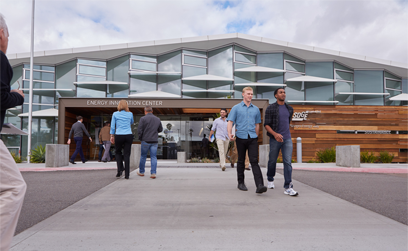 Host your event or seminar for your business at the Energy Innovation Center. Open: Monday-Friday, 8 a.m. to 5 p.m. Location: 4760 Clairemont Mesa Blvd., San Diego, CA 92117. Start, stop or transfer your service by calling our Business Contact Center, 1-800-336-7343, at least five workdays before you need gas and electric service. Gas service shut-off and restoration appointments should be made by calling 1-800-336-7343 at least two workdays before fumigating your property or installing an earthquake shut-off valve. This can help you avoid making an expensive, dangerous and possibly fatal mistake since working on utility-owned equipment, even inadvertently, can lead to a fire or explosion. Only SDG&E or our certified contractors are authorized to work on our equipment. Sensitive electronics, adjustable speed drives and other equipment may not work properly due to voltage surges, interruptions and distortion. If you suspect a problem with your electric service, we can perform a power quality audit, which includes a site visit, one to two weeks of monitoring, and a report with recommended steps that may reduce downtime. This free locator service can help you locate, and mark, where underground utilities, such as natural gas pipelines, are buried before you break ground. Call Underground Service Alert at 811 or submit a location request at digalert.org at least two workdays (Monday through Friday) before excavation, demolition or other forms of digging on your property. SDG&E and other local utilities will mark where utility-owned underground lines, pipes and cables are buried. Our hands-on workshops and trainings can help you expand your knowledge of business energy solutions, improve operations, and increase your profit potential. Click on your preferences in our Trade Professional Member Alliance Directory and find qualified, local contractors who can identify energy-saving projects. Electricians, heating, ventilating and air-conditioning (HVAC) specialists, engineers and general contractors, meet certain eligibility criteria and have a good understanding of our business rebates, incentives and financing programs. Working with them may help increase your savings and shorten your payback period. If you’re a Trade Professional, and would like to be listed in the directory, visit sdge.com/tradepro for more information. My Account is more than a way to pay your SDG&E bill. I'ts a virtual one-stop shop for energy information, exploring pricing plan options and services linked to your SDG&E business account. Link, view and pay multiple bills at the same time. See up to 25 month of account activity and energy use information. Click the "My Energy" tab to see your business's energy information at a glance, get your current bill/bill forecast for the month, review your hourly, wekkly or monthly energy use, and analyze bill changes. With My Account, you can stay on top of your energy use and cost with email or text alerts. You choose the dollar amount and energy use level that triggers the alerts. You can also subscribe to a weekly energy use summary that includes energy-saving tips. Visit sdge.com/energy-use-alerts to learn more or subscribe in My Account at sdge.com/MyAccount under the "Alerts and Subscriptions" tab. With Green Button Connect My Data apps, you can securely share your electric use data with your choice of authorized third-party vendors. These vendors offer a variety of ways to analyze your data so you can take control of your energy use and discover new ways to save. • Pay online at sdge.com/MyAccount. With My Account, you can also link, view and pay multiple bills at the same time and see up to 25 months of account activity and energy use information. • Even out your payments by signing up for our Level Pay Plan at sdge.com/lpp. It’s an easy way to make your energy bills more predictable. • Need extra time to pay your bill? You may make payment arrangements online through My Account at sdge.com/MyAccount or by calling the Business Contact Center at 1-800-336-7343 before the past-due notice expires. Need help funding a qualifying energy-efficiency improvement? Check out our On-Bill Financing Program where interest-free monthly loan installments appear on your SDG&E® bill and are calculated to be offset by the estimated energy cost savings. California also has eligible energy-efficiency measures that may qualify for favorable new financing options available through third-party lenders, such as on-bill repayment loans and off-bill equipment leasing. Our pricing plans can save you money if your business can shift electricity use away from peak hours. Log into My Account at sdge.com/PlanEnroll to get a personalized comparison of the plans and more detailed information on your site-specific energy use. Get an overview of available electric rates for businesses at sdge.com/BusinessRates, including videos to help you understand the different rate options. If you’d like to compare different electric rates, our Business Contact Center at 1-800-336-7343 can put you in touch with our Small- and Mid-Sized Business Team for a rate analysis. 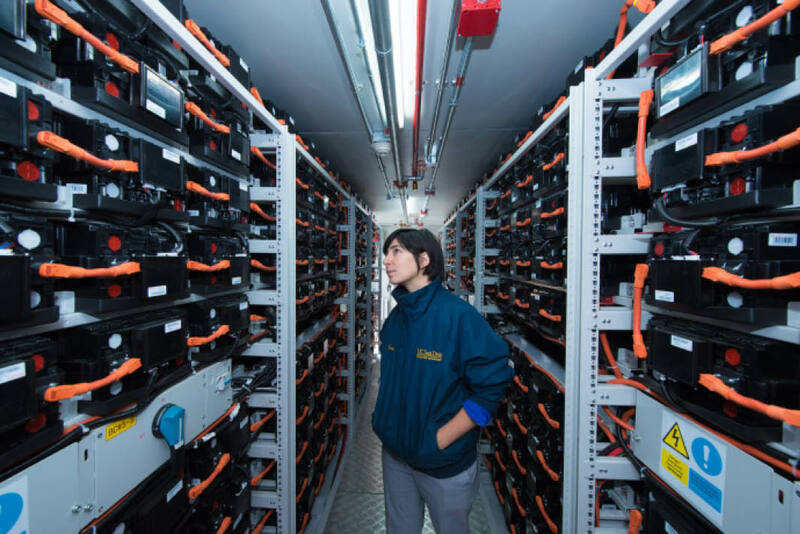 Businesses can earn monthly bill credits by proposing their own power reduction levels, to a preset Firm Service Level, when a Base Interruptible Event Day is called. To maximize your savings potential we’ll help you develop a load reduction plan after which you decide the number of kW (minimum 100) that you’ll be able to reduce when a Base Interruptible Event Day is called. Every month after, you’ll get monthly bill credits up to $12 per kilowatt (kW). If no load reduction actually takes place, you’ll still earn the credit. – If you’re not able to reduce your energy use when a Base Interruptible Event Day is called you’ll be penalized up to $7.80/kWh for any energy used above your preset Firm Service Level. Businesses that can curtail at least 15% of Monthly Average Demand, with a minimum load drop of 100kW, when a Base Interruptible Event Day is called. Contact your Account Executive or, if you don’t have one, contact the program manager at 866-377-4735 or email bip@sdge.com. To learn more about the program visit sdge.com/bip. On an Event Day, when electric supplies are anticipated to be low, businesses have the opportunity to earn incentives by reducing their consumption by the amount they pledged prior to the beginning of the month. Day of – 30 minute notification only: Higher incentives to reduce electricity use with only 30 minutes notice on Event Days. Both programs: Choose 4, 6 or 8 hourly event options for energy-reduction period. Both programs: Participation (and incentive) is through an Aggregator. On Event Days the Aggregator submits, from their list of participating businesses, a single aggregated bid (energy reduction amount). More time to plan for energy-reduction period, but only eligible for an incentive for the time that the Event Day was called. Choose 4, 6 or 8 hourly event options for energy reduction period. Must have IDR or smart meter. The California Public Utilities Commission approved SDG&E offering a DRAM pilot to third party aggregators. 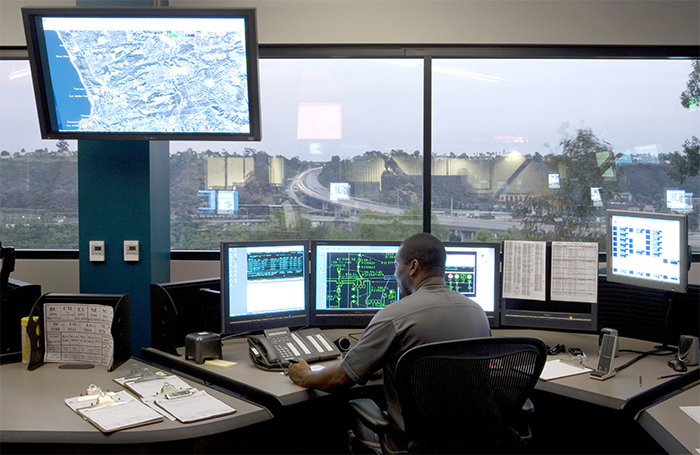 The aggregators would participate directly in the California Independent System Operator market comprised of customers in SDG&E’s service area. Any SDG&E customer, whether they receive commodity business service from SDG&E or another Energy Service Provider, is eligible. Visit sdge.com/dram for more information and to see the list of service providers. Select one of the service providers listed on the page, contact them and they will describe their offering and the enrollment processes and help you fill out the required forms. Incentives provided to customers who reduce their energy use when requested the day ahead by SDG&E. Failure to provide 50% of pledged amount results in a penalty. On Event Days, businesses can receive incentives if they : - Can reduce their energy use, with a day notice, to a set amount, during a certain period of time. On Event Days, businesses can receive higher incentives if they: - Can reduce their energy use, with a day notice, to a set amount, during a certain period of time. A time of use rate which features increased costs during critical event periods. Failure to decrease energy use during an event can result in signi cantly higher prices. Customer noti cation: Before 3 pm the day before the event. $4.50/ton for the 30% cycling option and $7.50/ton for the 50% cycling option. A number of factors can cause increased congestion on the power grid and have the potential to affect California’s supply and demand for electricity. During these times financial incentives are available to customers willing to temporarily reduce their electricity use when an Event Day is called. How are you informed of an Event Day? Are you on a rate or do you participate in a Demand Response Program that calls for your business to conserve energy on Event Days? Then make sure that SDG&E has the right contact information so you can receive Event Day notifications and make appropriate preparations for when it’s called. You can check, update or sign-up to receive notifications through sdge.com/MyAccount. Click on “Alerts and Subscriptions,” then “Sign up for Alerts and Subscriptions,” and finally, click on “Subscribe” (next to “Alert me of Reduce Your Use Days”). You can then select the e-mails or phone numbers you wish to subscribe.Click on “Alerts and Subscriptions”, then “Sign up for Alerts and Subscriptions,” and finally click on “Subscribe” (next to “Alert me of Reduce Your Use Days”). You can then select the e-mails or phone numbers you wish to subscribe. How do I know when an Event Day is called? When an Event Day is called for a certain program it will be on the sdge.com home page and also posted on the Demand Response Program status page — sdge.com/demand-response-program-status. You’ll also receive notifications to your email or phone number if you subscribed through My Account or through one of the participating Demand Response Programs. Incentives for businesses to permanently shift their on-peak load to off-peak using Thermal Energy Storage Systems. Be on a Time-of-Use (TOU) rate. Have an SDG&E smart meter or an approved interval meter. The Wi-Fi enabled thermostats give businesses control to multiple thermostats and locations anywhere, anytime. Business owners can lock down thermostats so employees cannot modify programmed schedules. SDG&E active account with a smart meter. Must sign PCT Customer Agreement. Visit sdge.com/BizThermostats fill out the interest form. Call the Energy Savings Center at 1-800-644-6133. Install a Summer Saver device on your HVAC unit and on select summer days, when electricity use is at its peak, your Summer Saver device activates to cycle your HVAC unit on and off. This helps maintain a safe and reliable grid. – Receive up to a $7.50 per ton bill credit for each A/C. – Your air conditioning run time is reduced by 50% of the hour previous to the conservation period. – Receive up to a $4.50 per ton bill credit for each A/C. – Your air conditioning run-time is reduced by 30% of the hour previous to the conservation period. To qualify, customers can’t exceed usage of 100 kW at any point in a 12-month period. Summer Saver is only used May through October. It may be used as little as one or two days, but will never be used more than 15 days. Organizations like the Timken Museum in Balboa Park received financial incentives for installing automated demand response controls and equipment. The system helps them save because it’s managing their energy use year-round, not just during Demand Response Event Days. An energy management system (EMS) helps a business save all year by monitoring, controlling and optimizing their energy use. Participating businesses receive incentives to help with the installation and purchase of EMS controls and/or equipment. Better-informed decisions: Equip your team with the ability to control everyday energy use and gain greater visibility into your building’s energy usage. Reduce stress: Let the system run the pre-programmed temporary load reduction plan during an Event Day. Eligible customers can receive up to $200 per kilowatts (kW) of verified, dispatchable, fully automated on-peak load reduction. The total incentive is limited to 75% of the total project cost. Businesses with a monthly on-peak demand of 20kW or greater at their facilities. Only Auto-DR measures that meet open Auto-DR Standards will be considered eligible for incentives. Contact your assigned Account Executive. Call Demand Response Line at 1-866-377-4735. This rate provides businesses with an opportunity to manage their electricity costs by either reducing load during expensive pricing periods or shifting load from high-cost pricing periods to lower-cost pricing periods. Critical Peak Pricing Event Days (a maximum of 18 can be called a year) are from 11 a.m. to 6 p.m. A maximum of 18 of these Critical Peak Pricing Event Days can be called annually. You can self-select an amount of electricity use (in kW) that you want to protect from the high price of electricity during a CPP event and pay for it through a fixed monthly Capacity Reservation Charge (CRC). Businesses on a commercial/industrial rate schedule whose maximum monthly demand is equal to, or exceeds, or is expected to equal or exceed 20 kW for twelve consecutive months (e.g. schedule AL-TOU). To enroll in CPPD please log into sdge.com/MyAccount, contact your Account Executive or the Business Contact Center at 1-800-336-7343. A storm or heat wave. The occasional repair/maintenance on a power plant or transmission line. The lack of sufficient natural gas supplies (since natural gas is used to produce electricity). It’s during these times that a Demand Response Event Day (see reverse side for more info) is called because energy conservation is needed from customers in our service area. 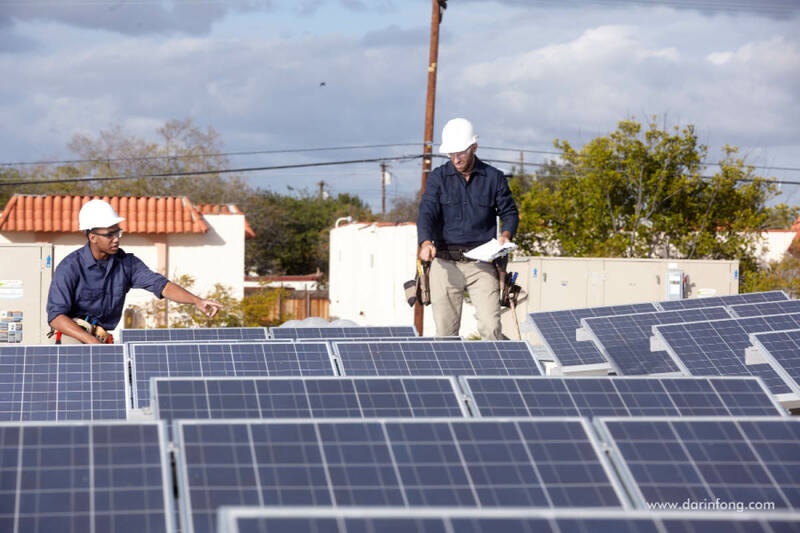 On Event Days most of SDG&E’s demand response programs offer financial incentives to customers who voluntarily reduce their electricity use to help ensure public safety and stabilize the grid. Demand Response is economically and environmentally conscious. Instead of building more power plants to satisfy the demand for electricity and avoid grid congestion, Demand Response provides customers with an incentive to conserve during Event Days. A no-cost, high-level energy audit and analysis by Trade Professionals and top-tier engineering talent. Tap into an array of energy management services, get valuable insights about your electric use and eliminate the challenge of having to determine what programs are most suitable for your business from one place — a Trade Professional Alliance Member. Business premises, in SDG&E’s service area, has not had an audit within the last three years. Visit sdge.com/cap for additional information. Visit sdge.com/cap, complete an audit application and email it to CAP@semprautilities.com. 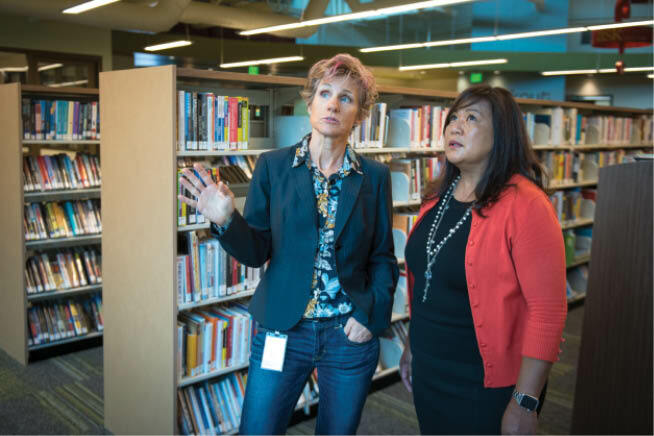 Small- and mid-sized businesses receive no-cost, technical assistance so they can make educated choices about the options available to help them finance current or new energy-efficient projects (such as facility retrofits, gut rehabs, equipment upgrades and new construction projects). Energy audits and technical assistance to identify energy-efficiency opportunities and measure cash-flow analysis. Referrals for businesses considering energy-efficiency projects and not already working with a lender. You must qualify for a participating small business lending product or a Small Business Administration Loan. Project applications must be submitted and approved prior to any construction work or material purchases. Visit sdge.com/eap for more information. 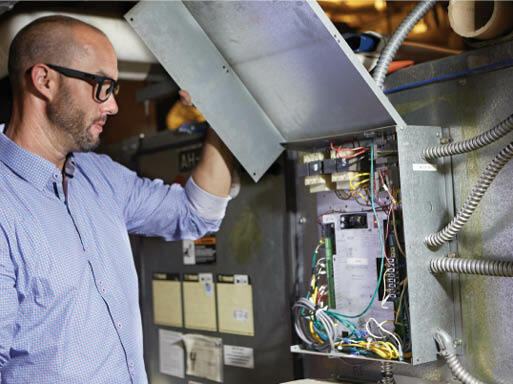 Business customers gain ongoing savings and incentive payments for retrofitting existing or installing new, high-efficiency equipment or systems. Receive incentive benefits for achieving higher levels of energy efficiency. Participants are eligible for a 20% bonus based on the value of each qualifying incentive or rebate project. Business customers who receive natural gas and/or electric services from SDG&E. Visit sdge.com/eebi for additional qualifications and/or eligibility. Contact your Account Executive or SDG&E’s Business Energy Savings Center at 1-800-644-6133. 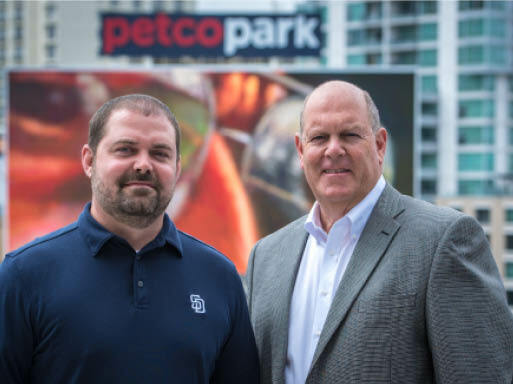 Businesses, like Petco Park, can offset some of the cost of the eligible equipment by installing energy-efficient lighting, refrigeration, food service, natural gas and other technologies. Installing energy-efficient equipment in a business can help reduce energy consumption and operating expenses, which leads to greater profitability, productivity and efficiency. Provide savings, which can be invested back into the business and may help boost morale. Visit sdge.com/eebr for additional qualifications and/or eligibility. Keep your business in tune with no-cost to low-cost professional HVAC system maintenance. Optimize system performance, which helps increase equipment life and reduces unexpected failures and equipment downtime. Receive rebates for high-efficiency equipment to buy down the initial cost of premium technology. Provide a safer and more comfortable environment for customers and employees in addition to better indoor air quality. 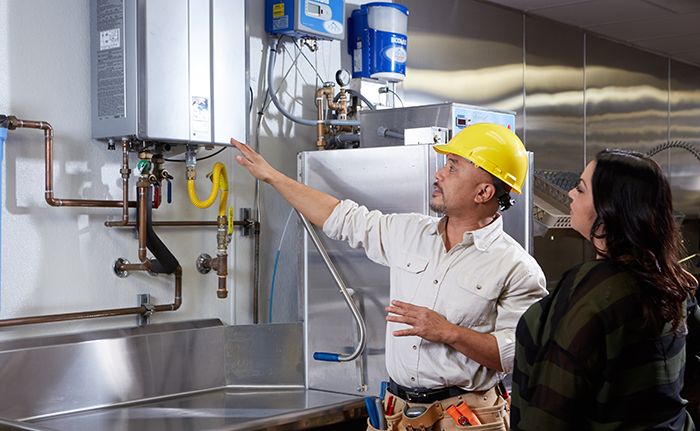 Businesses must reserve projects in advance by requesting a voucher for tune-up services or creating a reservation for equipment installations. Visit sdge.com/pecp for additional qualifications and/or eligibility. Visit sdge.com/pecp for more info. 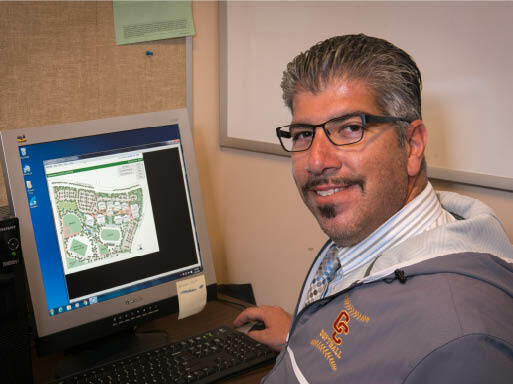 SDG&E incentives helped defray the cost of the project by 25%. 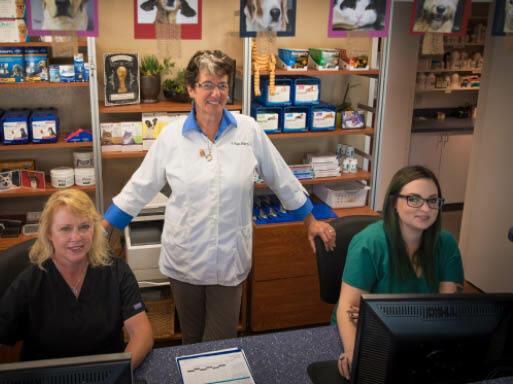 A one-stop shop program that begins with a no-cost, energy audit and helps small- and mid-sized businesses all the way through installation. Less stress choosing contractors: The SDG&E authorized contractor stays with the project from the beginning to the end, including recycling old equipment. Save time and money: Minimal paperwork and instant rebates. Professional recommendations: Trade Professional will make recommendations based on size and scope of the project. Business customers whose monthly electrical demand does not exceed 200kW per premise during the most recent 12-month period. Visit sdge.com/bes for additional qualifications and/or eligibility. Complete the interest form at sdge.com/bes. A comprehensive, ready-for-operation solution for water and wastewater system operators that offers no-cost energy engineering services, project support, and help securing incentives offered by SDG&E. Uses a balanced approach to evaluating and optimizing distribution and treatment systems. The focus is on both individual pump efficiency improvements as well as comprehensive system optimization measures. Third party contractor provides quick and simple navigation through the process for projects at no cost. Open to all businesses who receive natural gas and/or electric services from SDG&E and pay the Public Purpose Program surcharge on the gas or electric meter on which the energy-efficient equipment is proposed. Visit sdge.com/wise for additional qualifications and/or eligibility. Contact your SDG&E Account Executive. Visit sdge.com/wise and contact the third party contractor listed on the page. Identifying EVs and incentives for fleet operators. Helping employers and property owners with best practices for EV charging stations. Providing car dealers with information about our discounted residential EV rates to help new car shoppers make informed choices. No billing to manage — drivers can be billed directly on their SDG&E bill. 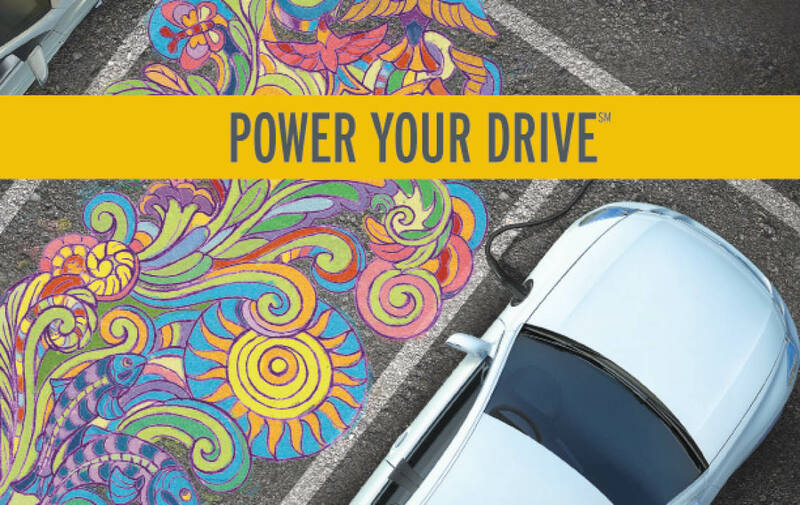 Stand out from competitors — attracts and retains those wanting to drive electric. Save money when you harness the power of the sun with the help of statewide programs. California Solar Initiative rebates are available for installing photovoltaic and solar hot water systems in homes and businesses. Visit sdge.com/california-solar-initiative to learn more and link to solar calculators that can help you estimate costs, paybacks and electricity production for solar energy systems. To learn more about using solar technologies to produce electricity, visit sdge.com/solar. If you have a solar or wind system that produces more electricity than you use, you can earn bill credits for the excess power you put back into the grid. You can then use that credit to cover the power you get from us on days when you need more electricity than your system generates. Since 1999, this program has been giving up-front design assistance supported by financial incentives based on project performance to new construction and renovation/remodel projects. Save money by reducing operating costs. Increase the comfort, health and productivity for building occupants. Projects must be at a point where design changes are feasible, preferably in the conceptual or schematic design phase. See program page sdge.com/sbd for additional qualifications and/or eligibility. Visit sdge.com/sbd for details on next steps. 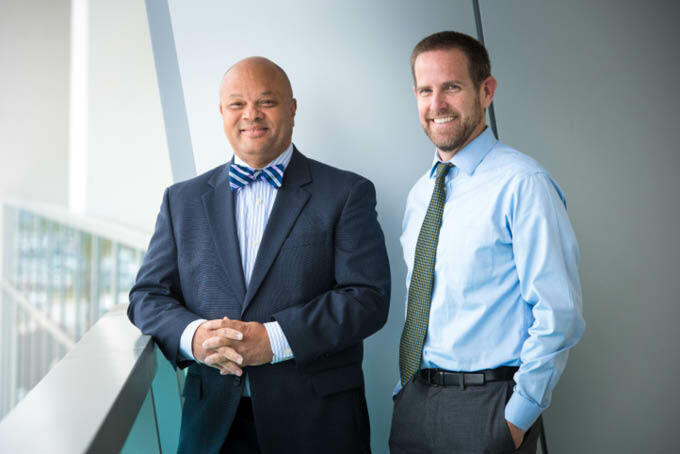 “We’re excited about our new 20-year energy master plan that is focused on making us more energy efficient, resilient, and carbon neutral. For example we collaborated with SDG&E’s Savings By Design program at the inception of Terminal 2 West and the Rental Car Center projects to maximize energy efficiency and cost savings. About 40% of the electricity used by auto body shops powers equipment — primarily motors — that drive compressors, fans and electric dryers. Electricity demand for a spray booth can be upwards of 18 kilowatts (kW). Avoid wasting energy and improve performance by sealing all line leads or replacing high-pressure hoses. Consider staggered start-up every 15 minutes for equipment that uses significant amounts of electricity. Technologies that have the potential to reduce operating costs in the future include electrostatic spray guns and ultraviolet curing. Spray Booths: Consider a single-stage compressor. Turn off other booths that are not in use and, when possible, stagger operation. Size compressors, as specified in the operation manual, appropriately and run only when needed. Be sure to put low-flow tips on air hoses and air guns before using to blow dust off after sanding. Actual savings may vary and will depend on various factors, including geographic location, weather conditions, equipment installed, usage rates and similar factors. The majority of electricity use comes from dry-cleaning machines and reciprocating equipment (such as air compressors, motors and lighting). A steam trap with a valve stuck half-open for half a year can result in an annual fuel cost of over $4,000. 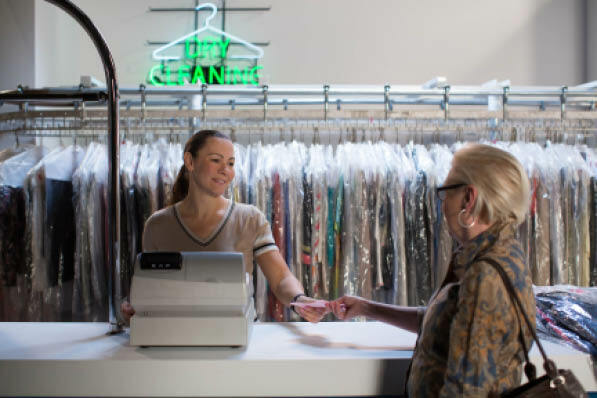 Dry cleaning machines use a lot of energy, ranging from .5 kW and greater (per machine), and put off a lot of excess heat, which increases the cooling load in a given space. Professional wet cleaning is by far the most energy efficient of the five different cleaning techniques. Switching to wet cleaning could save as much as 75% of the electricity a dry cleaner uses. Avoid usage of high-energy equipment during on-peak time periods and consider staggered start-up every 15 minutes. Implement a chilled water loop system to reduce waste heat from pipes and to cool the pipes themselves, which is an efficient way to reduce the cooling load within a space. A poorly maintained air compressor system can waste between 25% and 35% of its air due to leaks alone. Install controls on boilers, such as vent (or flue) dampers that prevent chimney losses by closing off a boiler’s vent when the boiler isn’t firing. Commercial frozen yogurt machines, also known as soft-serve machines, use a lot of energy. One unit alone may draw 2.5 kilowatts (kW) to 6 kW of electricity, depending on features; number of compressors; cooling system (air-cooled versus water-cooled); and efficiency of the condenser, fan motor and beater motor for blending product in the freezing cylinder. Frozen yogurt machines emit excess heat ranging from 7,200 British thermal units (Btu) to 12,000 Btu per machine. This in turn increases the cooling load in the surrounding space – and air-conditioning costs for the store. – Air-cooled with a fan: Exhaust heat from frozen yogurt machines via duct away from adjoining machines and outside the shop. – Water-cooled (if store’s ventilation can’t effectively exhaust hot air): Another option to consider, instead of the system that recycles regular water and increases your water costs, is installing a water cooling system that uses propylene glycol (antifreeze) in a closed-loop chiller located outside. – Clean condensers on air-cooled machines at least once a month to prevent dust, lint and debris from building up. Consider staggering start-up every 15 minutes for one or two frozen yogurt machines at a time to reduce electricity demand (kW). 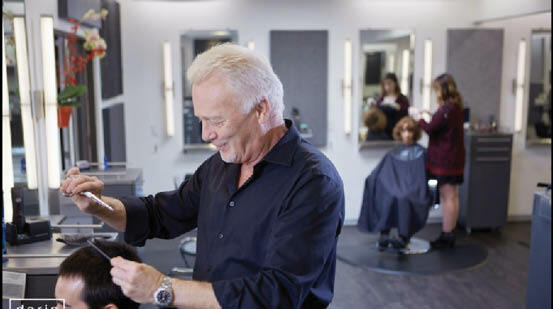 Types of businesses in this category include tanning salons, tattoo parlors, saunas, steam baths, ear piercing services, hair removal and weaving salons. The best places to save, while keeping it comfortable for your customers, would be lighting and cooling. 54-watt T5 fluorescent lamps work well for high-bay applications, while 27-watt T5s work well for most other uses. Consider installing motion-activated occupancy sensors in areas that aren’t used by clients or employees; such as bathrooms and utility closets. Install reflective window film to reduce solar heat gain and help keep cooling costs down. Newer window films are not as dark or iridescent-looking as older window films, so building occupants can see outside on most days. Use washing machines during off-peak hours, when electricity prices are the lowest. Buy enough towels for use during business hours so laundry can be done at night. Use front-loading washing machines with high-speed spin cycles to save water and energy used for drying. Gas dryers and natural gas-fired heaters cost less to run than electric clothes dryers and water heaters. When buying new equipment that use a lot of energy, such as hood hair dryers, consider wattage and performance. Faith-based facilities typically have fewer operating hours and experience large swings in occupancy. Brief the congregation on how to use systems and the importance of turning things off and/or down. Lighting and cooling represent the most significant electrical loads in congregational buildings. “Plug loads,” such as amplified musical instruments, audio-visual equipment, and microphones, can consume up to 30% of electricity. Install or use dimmers/occupancy sensors to lower or control lighting levels in daylight areas. Turn off commercial coffee pots when not in use as they can consumer up to 1800 watts each. Check out the rebates available for commercial kitchens or come try out energy-efficient kitchen equipment at our Energy Innovation Center. – Ice machines: Larger ice machines are generally more efficient than two smaller ones; make ice during the off-peak hours; consider installing a timer.